Every man cave and machine shop needs a custom clock. 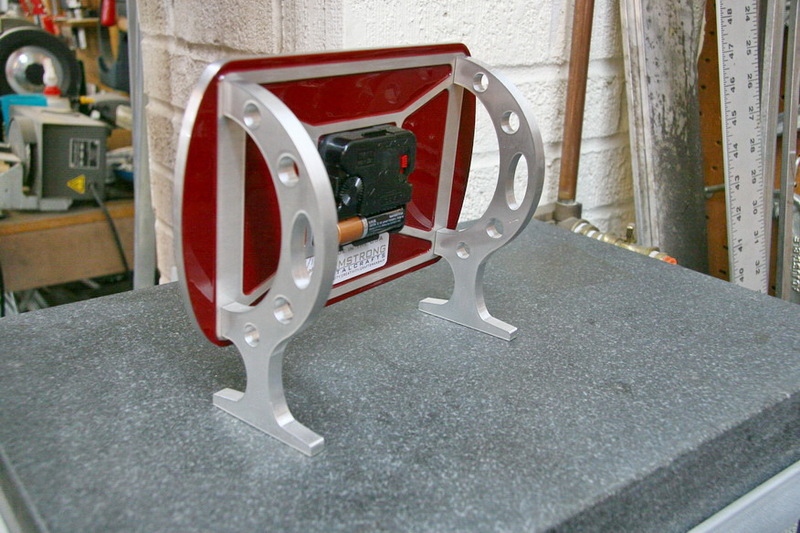 At Armstrong Metalcrafts we decided that ours should be unique. This clock is CNC machined from aircraft grade aluminum and brass, and is dedicated to machinists and mechanics that make the USA strong. Not being content with a round center hub, this elliptical hub has tapered sides and encloses the clock shaft for protection. 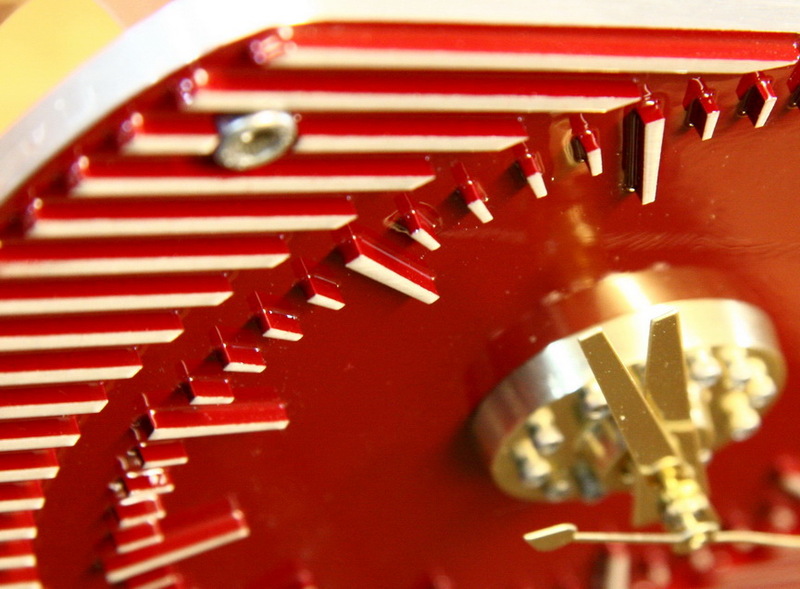 The hub's 12 stainless steel socket head cap screws mark the hours in an ellipse matching the clock fins. Auto lovers will love the raised fins reminiscent of finned valve covers and intake manifolds "back in the day", when men were men and cars had class. Many guys will put this on their bench, but the back is machined to look cool on a desktop. 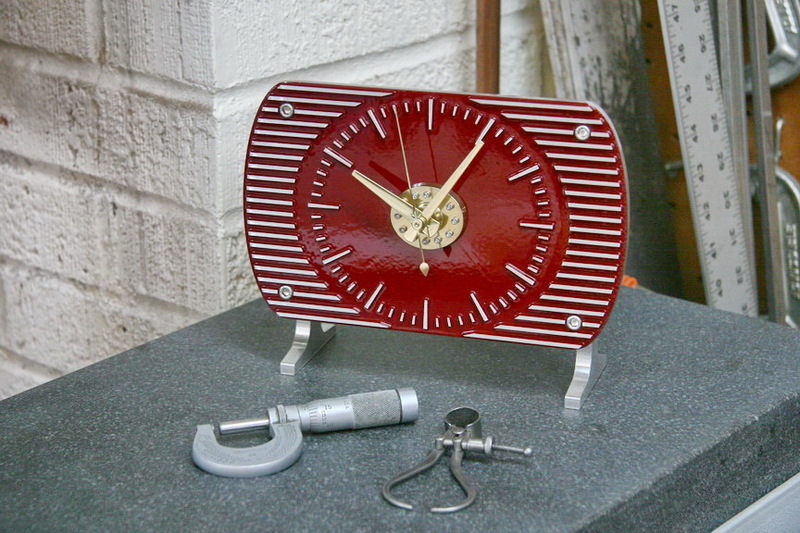 A durable powder coating gives a great finish to a clock sure to start a conversation with shop visitors. The clock mechanism (made in the USA) uses a single AA battery. Armstrong Metalcrafts is building a limited edition of 100 clocks for sale. The price is $260 with free shipping in the USA. 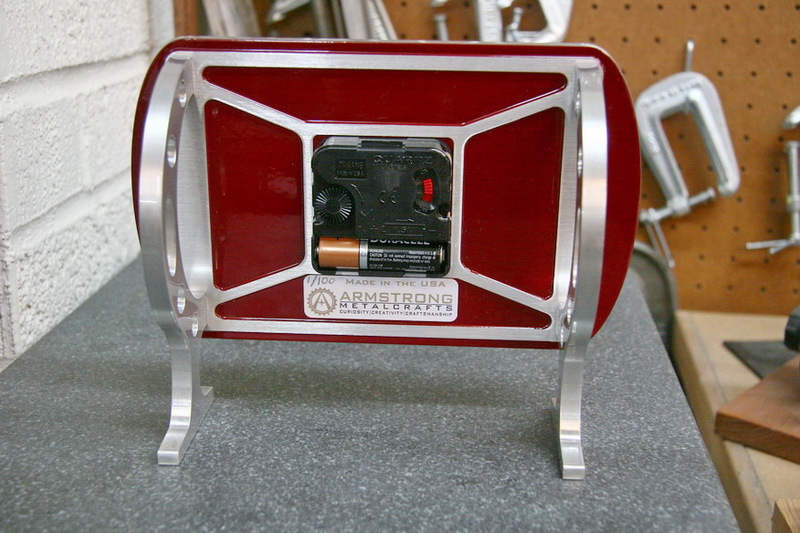 To inquire about a purchase, please use our contact form or send an email to "sales" at armstrongmetalcrafts.com.